I am in the of planning a trip of a lifetime. Later this year, my family and I will trek to Africa. From seeking the big five animals on safari to diving with sharks off the coast, these adventures must be captured for posterity. For our trip, GoPro cameras are a necessity. To capture the lions in hidden in the bush to shooting the shark as he comes out to feed, our GoPro will record each and every moment. Still, we need more than just the camera, we are outfitting ourselves with must have accessories like the Telescoping Handle Grip for the GoPro. While the GoPro can get some amazing video and pictures, sometimes the angle or view from a person's vantage point needs a little help. I'm not the tallest person, so my view point is often quite low. With the Telescoping Handle Grip for the GoPro, I can see items from a higher level From a height advantage, I can get a great angle for my video. With our safari, I don't want to get too close to the wildlife. The Telescoping Handle Grip gets the additional height and distance that I can't get on my own. Since I can't travel with a bunch of bags, I want my accessories to be compact. 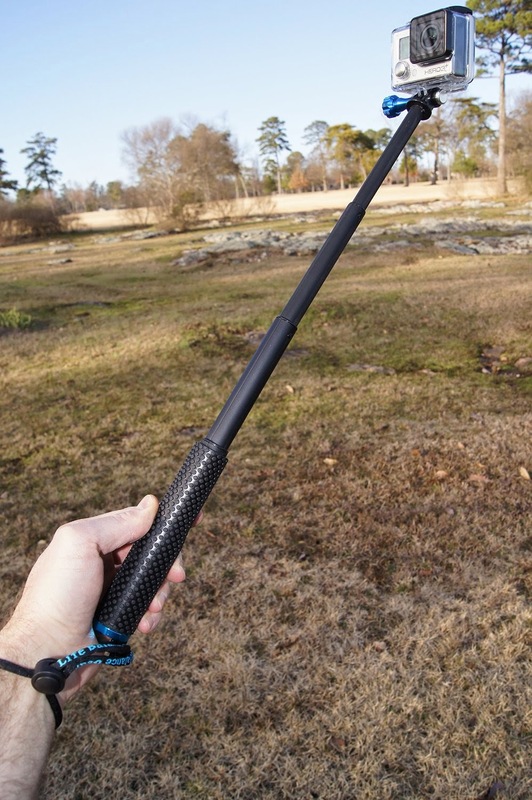 This Telescoping Handle Grip for the GoPro is lightweight and compact. Weighing just 6 ounces, the frame can be stored in my backpack or even a large purse. Plus, the aluminum frame retracts to 7 1/4" but can extend to 19 1/2", which gives me tremendous reach out of the safari jeep. Most importantly, the telescoping handle grip comes with bonus aluminum thumb screws. These screws hold the camera securely in place. After all, you don't want your camera to be lost in the bush. An added bonus with my purchase is that a portion of every purchase benefits two organizations dedicated to getting kids outside and exploring nature: Get Outside, Alabama! and the Children and Nature Network. 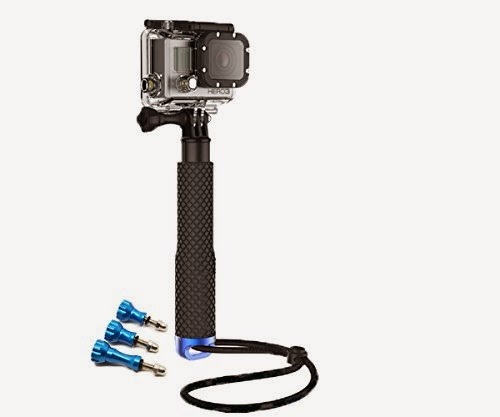 The Telescoping Handle Grip for the GoPro can be purchased on Amazon for $35. Are you ready to capture memories? Outfit your GoPro with this Telescoping Handle Grip and impress your friends with amazing video and photos. Disclosure: The reviewer received this item for this publication. All opinions are her own.